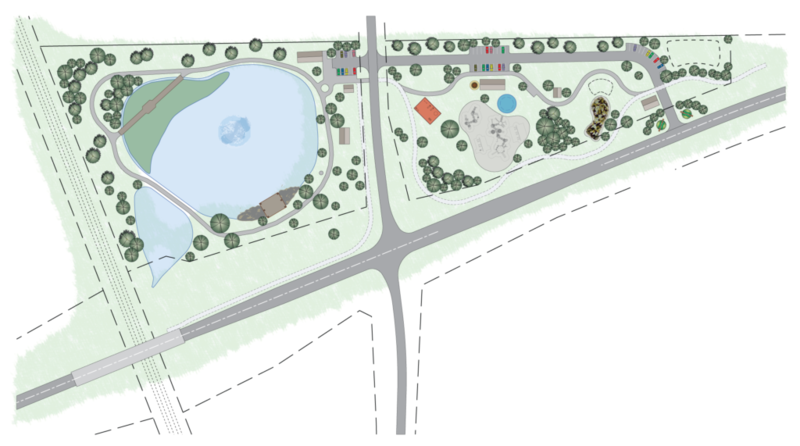 Visions for a new community park came about with the implementation of Veterans Honor Parkway, a new roadway that provides access to undeveloped land. The nearly 2-mile long Veterans Honor Parkway, which was constructed in 2015, provides a connection to other major routes and features bike lanes and a shared-use path. With this new access, the City of Highland embarked on the creation of a community park located along the route. Dennis H. Rinderer Park was developed to honor the efforts and devotion of Dennis Rinderer, a longtime resident of Highland. Mr. Rinderer, a banker in Highland, worked to acquire land for Veterans Honor Parkway. Oates Associates worked with city officials and the Rinderer family to develop and implement the vision for the park, which is known as Dennis H. Rinderer Park. The park offers a quality of life and healthier lifestyle, both from an active and passive perspective – for body and mind. Elements include separate trails for walking/hiking and biking that are ADA accessible, exercise stations, Jaycee’s Dog Park and pavilions. Features are being constructed as funding allows. The park has two access points, a new entrance from Veterans Honor Parkway and an entrance at the existing Trestle Road. The two entrances are connected by the internal park road. A 12-space parking lot is located at the Veterans Honor Parkway entrance and a linear 30-space lot is at the Trestle Road entrance. 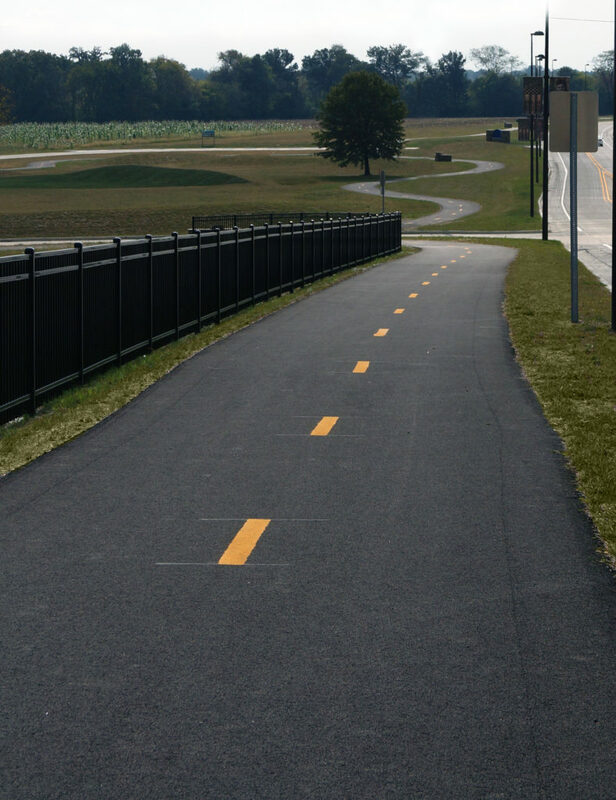 A multi-use trail is an extension of the multi-use trail along Veterans Honor Parkway, and follows the perimeter of the park.